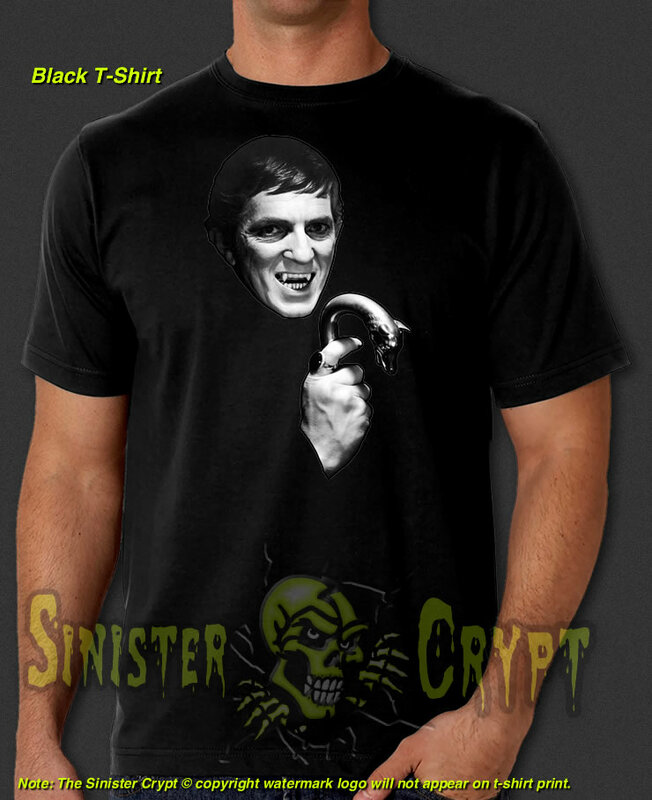 Dark Shadows t-shirt. 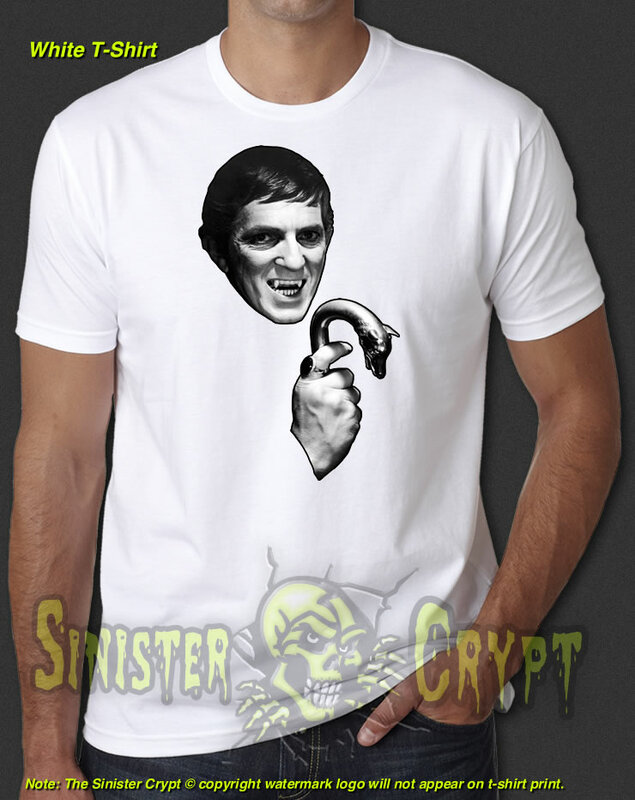 Dark Shadows featured a vampire, Barnabas Collins, played by Jonathan Frid. Dark Shadows was an American horror/gothic soap opera that originally aired from 1966 to 1971. Makes a great gift for a horror fan!